Probably not. There is more than one issue to be finalised before Adani can press ‘go’, and all the time the social licence to mine coal is fading. Adani’s Carmichael coal mine site in central Queensland’s Galilee Basin, pictured in December last year. One would have thought such advice would mean the application should be rejected. Labor had warned the Government not to rush the decision before the election. I heard Bill Shorten say that PM Scott Morrison had called the election mid-week in order to escape any probing of the decision during Senate Estimates hearings. He could well be right! 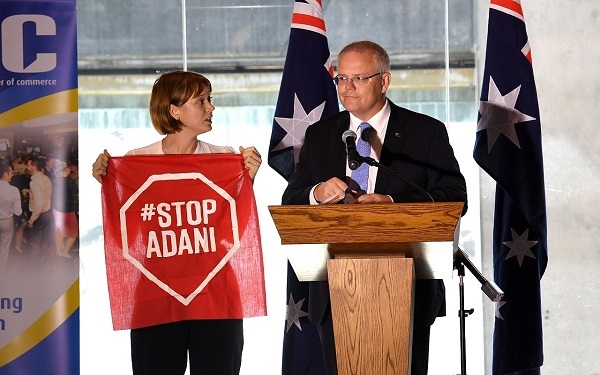 The original ABC news story said that Adani had been given Commonwealth approval to start building its Queensland coal mine, and that the decision marked the final construction approval from the Federal Government. However, the Queensland Government now has to sign off on the very same groundwater plan, which it only received half an hour before the announcement by Ms Price. On the face of it, the scientific reviews appear to give Queensland a trigger to block project. Apparently the Queensland Government has stricter criteria to meet. Adani claims the Clematis sandstone is the sole source aquifer for the Doongmabulla Springs complex. This cannot be guaranteed according to the scientific report. The company, on its part, points to their plan to drill a network of 100 bores to monitor underground aquifers. I also note Minister Price’s statement that the project must meet further stringent conditions of approval from the Commonwealth before it can begin producing coal. I did hear Andrew Leigh on radio say that there were as many as nine matters still to be determined. 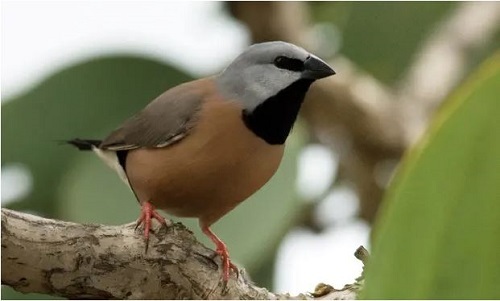 Then of course there is still the matter of the black-throated finch under consideration by Qld. A study published earlier this year found that 775 projects had been considered for their impact on the finch’s habitat. 774 had been approved an only one rejected, amounting to death by a thousand cuts, almost literally. “I support projects in this state that are upheld by our environmental laws and that have gone through the absolutely stringent processes undertaken by the regulator,” she said. On ABC TV news, however, Enoch pointed to the fact that the world was moving away from coal, that Glencore, with a number of coal mines in Qld, had recently capped its coal production, and that the jobs of the future would be quite different. 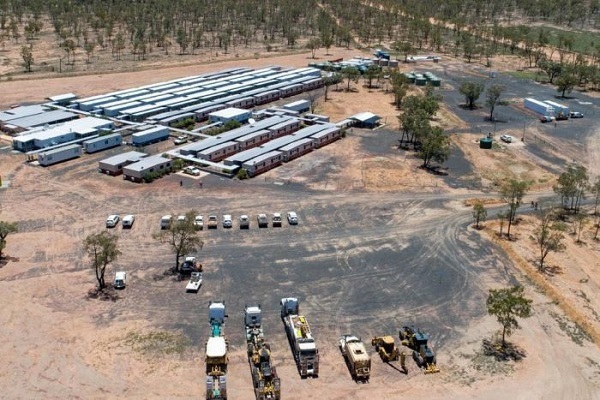 Also her media statement stated that under the Palaszczuk Government resources companies have committed to more than $20 billion worth of mining projects in Queensland. It seems to me that there is about zero chance of Adani getting the final approval before the election. Enoch may be laying the groundwork for a very different approach to coal mining after the election. The point is that new construction (30,141 MW) is trending down, and appears to have crossed over with retirements from the operating fleet (30,890), which is trending up. Furthermore capacity does not equal output, which is perhaps better reflected in the mining statistics. That comes from an SBS summary of the sad Adani saga. I may add some specific posts later, but earlier material on this blog can be found under the tags Adani and Coal. My take is that it is doubtful that Adani would proceed even if all the required government approvals occur. As GM and others point out the future of thermal coal looks bleak and it is unlikely that Adani would get the finance it needs and may not want to put its own money in. On the other hand, Adani has little to gain by pulling out. There is always the possibility that some government may decide that it is worth paying them “go away money” and because there are advantages in having the project on its books. Sickening abuse of power. On the cusp of caretaker status the bastards give a (flawed) green light to Adani. Despite clear opposition on environmental grounds and voter disquiet, the approval was given. One remaining hurdle that gets little attention is the action by the Wangan and Jagalingou peoples who have ancestral claims over at least some of the lease. I’m unsure just where the present Queensland government sits on Adani. They surely realise that the political capital associated with Adani is close to negative. It is clear that the mine is not viable: as world demand declines, the first coals to be culled are the dirtiest with high ash and low heat energy. Perhaps the Queensland government see’s value in the Aurizon interface with Adani’s proposal to link the routes, anticipating that the rail will effectively open up other mines in the Basin and riches will flow. Coal haulage accounts for around 90% of Aurizon revenues, and that in turn is linked to coal prices. As demand and prices fall, so will rail revenues – maybe they are trying to push out the inevitable serious decline. Or they fear some sovereign risk action from a stymied Adani. Not much is clear except that the science and the people are being overlooked by government. I have written to the Labor candidate for Leichhardt, Elida Faith asking her simply: Will Queensland Labor allow the mine to proceed? Too soon to expect an answer but if she responds I will post it here. I can’t find a reliable pollster that finds most Queenslander don’t want Adani up and running. Agree about the caretaker status. It is just one handout from the trough from a government that suspects they won’t be government by the end of May. Note however that all they have done is remove one barrier to proceeding, not the final approving. Even there the bullying of Melissa Price before she made the decision may provide grounds for revisiting her decision. Since my bar chart (shown in your post above) was produced the Boom and Bust 2019 report has been published which includes a more comprehensive analysis of the Global Coal Plant Tracker data that was published in late February 2019. My latest letter to the Independent Planning Commission NSW (IPCN) re Bylong Coal Project, dated April 10, refers to the Boom and Bust 2019 report, highlighting some key points, plus reference to Japan’s environment minister opposing “in principle” any new plans to build or expand coal-fired power stations. Japan currently buys around 39% of Australian-mined thermal coal. OK it’s 13 months old, but you’d be a bit adrift if you thought Adani’s approvals had actually risen since then. I’m also a bit surprised that anyone could embrace the Carmichael proposal except major machinery sellers and mine maintenance companies. Adani conceded, under oath, that only 1470 jobs would flow from the mine. Did you know that the haul trucks and trains are unmanned, controlled remotely and not necessarily from Australia? The 1470 was the figure when mine output was set at 60 million tonnes per year. Since then, it has been revised down to around 25 million tonnes so the employment number should decline significantly. You are also aware that they are looking to construct airports to facilitate FIFO, a practice that has been heavily criticised for economic and social reasons. Jumpy could I ask if you are a Carmichael supporter – and if so, help me understand your reasoning. GH, that’s not Queensland poll and the pollster is kept anonymous by the SMH so I can’t verify the methodology, could have been UComms that they often use and is dodgy as all get out. The coal at Carmicheal is the property of Queenslanders, no one else. I’m not going to argue who owns the coal. But pollution and climate have no respect for borders, and so there is an obligation upon polluters not to pollute other areas, but that also includes their own patch, even if owned by Queenslanders. Well I’m going with the Quid Pro Quo conversation style for a bit. Geoff H, you really must understand the rules if you’re going to comment here. There are only two. 1. Jumpy is free to ask questions and demand other commenters reply, preferably with E…Vid…Ence. 2. Jumpy is under no obligation to reciprocate by providing answers when others question him, even if someone mentions quid pro quo. And as usual zoot says the opposite of what’s going on. Please continue, don’t let zoots obvious trollism deter you. Here’s a Reachtel poll of Queensland voters. Jumpy I hope that piece of luck is what you sought. It’s pretty clear that the owners of the said coal don’t want Adani’s sullied hands on it. The lack of planning and of preparation by Australia’s business and political/administrative decision-makers sticks out like the proverbials. 1. So, when Adani goes into production, what happens to all those jobs in smaller mines? Farmers and graziers currently working in those smaller mines will be spending a lot of time back on their own impoverished properties – and they know it. I wouldn’t be surprised if the graziers concerned about underground water aren’t being supported by fellow graziers working right now in distant smaller coal mines. The boosters can chant “Jobs! Jobs! Jobs!” all they like but that won’t stop the reply of “Dole! Dole! Dole!” as soon as the first ship-load of Adani coal sails. And who are the mugs who will be paying to keep all the formerly employed coal miners alive? Yep, us poor damned taxpayers. Anyway, there is a hell of a lot of scepticism about many Australians being employed once production gets into full swing. 2. Geoff Henderson said, above, “Coal haulage accounts for around 90% of Aurizon revenues, and that in turn is linked to coal prices. As demand and prices fall, so will rail revenues”. Holy mackerel! If that figure is true (and I haven’t checked it yet) then how the blue blazes could any well-run company get itself into such a vulnerable position? Not even the worst and the doziest of the Commissioners and Deputy Commissioners of the old “socialist” Queensland Government Railways would have allowed their organization to fall into that trap of utter dependency. I’m glad I’m not an Aurizon shareholder. This potential threat should be built into the preparation for considering any and every foreign investment in Australia. In our rough-and-tumble world, it must always be assumed that a lust for compensation money is well up near the front of every foreign investor’s thinking, even when there is little likelihood of such a windfall actually happening. Jumpy, many years ago people in NQ told me Brisbane was a place you stopped at on the way to Qld. There is a bit of truth in that. Sometimes when I step off the plane in Rockhampton it feels like another country. I was once told by a man from Cardwell the the ‘southern suburban sprawl’ started in Townsville. The Gold Coast and the Sunshine Coast are different again. GM, thanks for the latest information. I suspect Labor in the feds and Qld would like to stop Adani, but it would be easier for them politically if the mine was stopped for other reasons. That poll found most Queenslanders don’t want Adani given a taxpayer funded loan. Once again zoot misses the mark by a large margin. Brian: When we lived on Groote we noticed that North Qlanders used to judge you on how far north you lived. We used to like going to Cairns for a holiday and talking about coming south to cairns for our holiday. We had a flood of North Qlanders coming to work at one stage. All of a sudden we realized how Joh from NZ could stay in power. The link you refer to is dated 8 Nov 2017. Almost 70% of all voters agreed the licence, to extract groundwater for the Carmichael coalmine, should be revoked to safeguard water for farmers. Perhaps someone can find a more recent poll re Adani Charmichael mine approval? Environment officials say a Labor government could disrupt the proposed Adani coal mine by applying tough new scrutiny to the company’s plan to pump billions of litres of water from a river in drought-stricken Queensland, as the issue flared on the first day of the federal election campaign. It’s reported that environment spokesman Tony Burke on Thursday said the decision not to apply the water trigger was “absurd”. “It adds to the list of areas where, on the face of it, the government has not properly applied the law. If elected, Labor will apply the law,” he said. Meanwhile, the Australian Conservation Foundation has mounted a legal challenge to the government’s water trigger decision. The cancellation of Senate estimates hearings (due to the announcement of the elections) appears to have prevented the CSIRO from appearing to give evidence on the contentious process surrounding its backing of Adani’s groundwater plan. Thank GM for that very current link. It would seem the Queensland government is intent on making the mine happen but by insisting on the necessary permits appears to be opposing it. Nice sleight of hand if I am right. Is the new rail line offensive to traditional owners – anyone know? Since all of the links we have provided are not what he asked for I think it’s high time Jumpy provided a link to a trustworthy poll which shows most Queenslanders are in favour of the Adani mine going ahead. Half of LNP voters, three quarters of ON voters, 70% of all voters don’t approve of Adani’s groundwater plans. I’d like to point out that the Link GM made refers to Adani using surface water from Betts Creek and Suttor River, which I’d never heard of, and I don’t know which catchments they are in. I don’t have time to research it right now. A number of catchments meet thereabouts, but I think Adani is in the Cooper basin which flows SW. I do know the rainfall is not high thereabouts. For some reason the media never seems to ask Tony Bourke about matters pertaining to his portfolio, and when he says something, no-one takes much notice. There are some more links about Adani. First, Traditional Owners fighting Adani coal mine mount fresh legal challenge. They lost last year, but are now appealing to the full bench of the federal court. They have 10 matters to be heard, and only one needs to get up to stop the mine. Second, Katharine Murphy has done an article Adani coalmine: can Labor get away with choosing ambiguity over integrity? It’s not a bad article in describing the Adani affair, but is based on a a false binary. She falls into the assumption that Labor should either say yes or no and get off the fence. This is typical of people who don’t understand the responsibilities of a party aspiring to government. Labor does not have access to the full documentation, for example the responses by the CSIRO and Geoscience Australia. To express a view would be to prejudge the matter with incomplete information. This creates sovereign risk and weakens the government legal position in relation to a compensation claim. Third, Karen Middleton has a piece in the Saturday Paper, CSIRO steps back on Adani approval. It’s complicated, but CSIRO and Geoscince Australia were never given the full groundwater plans, just a series of questions. Speaking for themselves, CSIRO advised it had concerns. Adani was said to answer these concerns, but that happened within a month and their reply was never sent to the CSIRO, who had called for changes in modelling which would likely take a couple of years. Shorten has declined to say if an incoming Labor government would overturn the approvals, saying it would depend how far advanced the process was. He has said previously that Labor would not do anything to create sovereign risk in Australia as an investment destination. He, too, faces internal party pressure both for and against the mine. Labor has internal differences, no question, but Adani is a moving feast and they can’t forecast what the situation would be after the election. And as I said, they don’t have full information. Labor, the Libs and most Nats are being damaged by Adani and wish Adani would leave Aus. It suits Adani to spend a little bit of money holding on to their lease. It’s reported that the Great Barrier Reef Marine Park Authority – the federal government’s lead agency for managing the reef – has prepared a climate change position statement. The Age and the SMH have obtained this document (under development over the past 15 months) under FOI. Approving the Adani Carmichael mine (and other new coal mines) could mean the death of the GBR. Nonsense, India has almost as much coal as Australia. And Africa, which isn’t close to being fully explored has plenty too, and China is working on that. 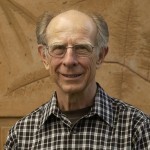 Jumpy: The question is how much of the worlds coal deposits will end up being mined, not how much there is. Why keep on mining when we have reached a point where renewable options cost less even if you put no price on the damage caused by global warming? Here’s an article from 2012 which convinced me. But seven years later we still have far too many people with Angus Taylor’s mindset (no names, no pack drill) who are dumb enough to think business as usual is an option. The human species is too stupid to save itself. I would say China has almost as much coal as Australia (based upon the numbers given above). I would not say India has almost as much coal as Australia. And what do you base that on, Jumpy? BPSRoWE-2018 says the whole of Africa plus Middle East has only 1.4% global share of coal reserves. Why keep on mining when we have reached a point where renewable options cost less even if you put no price on the damage caused by global warming? Indeed, good question John D. Care to answer, Jumpy? Then free market Capitalism will do the rest if that’s the case. I’m not entirely sure though that renewables are in fact a better EROEI at this time. My point was that if Australians were removed from the Globe entirely China, India and Russia would fill the co2 void in about a week. All this talk about OECD Countries, pfft.., China has more emissions growth. Have a look at what they were 40 years ago compared to today. Africa outside South Africa has hardly been explored. India and China are very large Countries, how much of those do you think have been gone over by drilling gangs ? We’re not running out of coal this century dude and India, China and Africa need it most. What Australia does is inconsequential to the health of the GBR if co2 is harming it. Jumpy the world is indeed going to hell in a hand basket. We are too stupid to see that we are crapping in our own nest. Dead set mate, I gave up your logic well before I finished primary school. And my dad, bless his heart, even before I went to school asked if he put his hand in the fire, would I also do that? So, if others sell coal to be burnt does that justify Australia selling coal? Doesn’t it have to stop somewhere? Dig it out because others are? One day you’re probably going to have to answer to your grandchild about pollution and a degraded world. What are you going to say? Geoff H, from his last few comments I think we have an answer to the first part of your question to Jumpy. Since he refuses to enlighten us we must presume the answer to the second part is that he sees no ill effects resulting if we burn every last bit of fossil fuel that can be found. Jumpy: I take your point. The world has enough coal reserves to completely stuff the planet. Is this what you are advocating? Utter nonsense – you are showing your ignorance again, Jumpy! In 2017, Australia was the world’s 8th largest natural gas producer (3.1% global share). In November 2018, Australia overtook Qatar to become the world’s largest LNG exporter. Jumpy, what’s your evidence for this statement? Jumpy, are you advocating that coal should continue to be mined and burnt at coal-fired power stations? Are you advocating business-as usual? So, if others sell coal to be burnt does that justify Australia selling coal? Doesn’t it have to stop somewhere? Dig it out because others are? Burnt where? 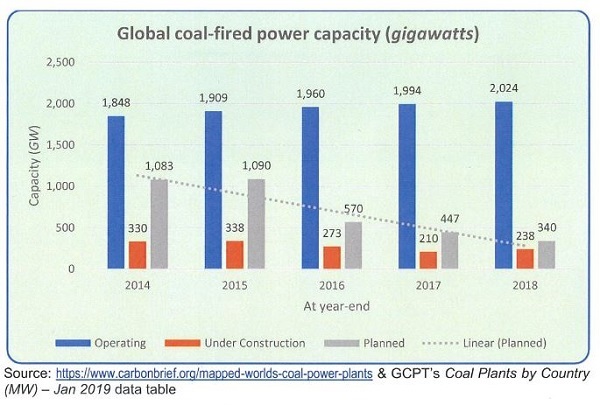 Brian kindly included in the post above the bar chart of Global coal-fired power capacity (gigawatts) that I compiled for a letter to the IPCN re the Bylong Coal Project Determination. The pipeline for new coal plant projects is rapidly shrinking. In 2018, new start coal plant constructions were being exceeded by retirements of existing operating capacity. 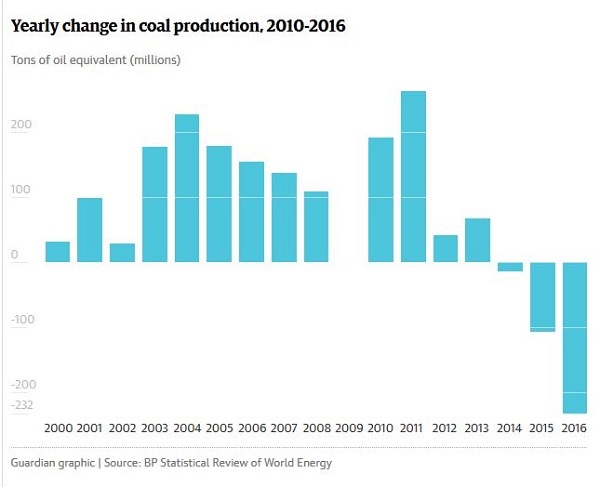 Many indicators are highlighting the beginning of the end of the thermal coal market – see some of them highlighted here. Do we continue to ignore these indicators? Will Australia continue to remain ill-prepared for the inevitable existential challenges (i.e. climate change and oil & gas energy resource depletion)? Can we still say: “She’ll be right, mate”? The ABC first published concerns expressed by scientists about the Adani groundwater plans and the company’s response in Adani did not ‘accept in full’ changes sought by scientists during approval stages, meeting notes show. There is more at The Guardian in Briefing notes show Coalition approved Adani water plan despite knowing of risk, which is more forthright about what happened and goes into the reactions by the Qld Environmental Defender’s Office and green groups. It seems the Federal bureaucrats placed themselves between the company and the scientists to maximise the political discretion available to the minister. GM comment on GH excerpt. d) at which point, it becomes a global phenomenon rather than solely a local, or regional, or national phenomenon. I agree with all five suppositions implied by Mr Henderson. From the tenor of earlier posts by GM, I had surmised that GM would also agree with those points. But ya just never can tell, eh?? The original is always the best. Jumpy: Just as a matter of interest have you any children or grand children whose future you care about? Or for that matter do you care at all about any young person’s long term future? Or do you believe that what the world is doing with fossil carbon is going to have no affect whatsoever on the future of humanity. Careful JD, when Geoff M and I asked similar questions of him Jumpy became very petulant. It’s imperative that we be very gentle with him or he will deprive us of his valuable insights. Jumpy told us of his engineering-training son who was going out to sea on a large ship. 5 of the 6 major party candidates for the seat of Capricornia want to see Adani start mining. Haven’t seen all the statements on this from all the candidates in Dawson, Kennedy or Flynn. Of course, what the constituents think doesn’t matter at all; they’ll do as they’re told, as usual..
JD attention to Jumpy’s grandchild was drawn of April 15, but I think he either missed it or did not understand …. Geoff H, you appear to have changed your IP address, which is why your comment was held up. Should be OK now. Brian I use a couple of email addresses, I will try to be consistent from now on. Thanks for the heads up. Geoff, your email was the same (I think), but it was the IP address that was different. IP is Internet Provider. It’s 9 to 12 digits long in four sections divided by 3 full-stops. All three of the name, the email address, and the IP address need to line up. I think it is to stop people pretending they are someone else. You can use as many as you like as long as I approve each one the first time. zoot has been playing around with his name, which is fine as long as he isn’t pretending to be two different people.